Ma Jian stepped off the plane to Hong Kong on November 9 to find himself the city’s latest litmus test for freedom of thought and expression. A dissident author whose work is banned in mainland China, Ma was scheduled to speak last Saturday at a Hong Kong literary festival. Two days before the event, the venue – Central’s Tai Kwun art space – refused to host him, saying that it did not want to “become a platform to promote any individual’s political interests.” Following that, a substitute venue also cut ties. Tai Kwun later reversed course but, for many, the U-turn came as cold comfort. Prominent democrats and cultural figures condemned the incident as an act of either censorship or self-censorship. Tai Kwun’s director took responsibility, but details surrounding the decision have remained murky. Ma Jian. Photo: Kris Cheng/HKFP. 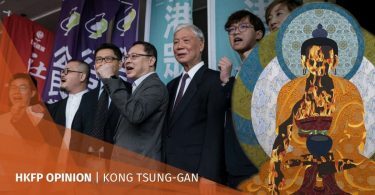 “Maybe I will choose a place myself, maybe the doorstep of Tai Kwun – the talk must go on, even if only one Hongkonger wants to hear,” Ma told reporters at the airport. The talk went ahead after Ma “clarified” he would not promote a political agenda. HKFP met Ma at the lounge of his hotel, a 10-minute walk away from Tai Kwun. His book talks had just concluded the day before, but instead of any visible relief Ma just seemed tired. The person least surprised by the whole Tai Kwun affair may well be Ma himself. Ma said he was ahead of the curve – in fact, he had been warning about deteriorating freedoms in Hong Kong for over 20 years. Now 65, Ma has led a life of displacement, each move taking him further from home. 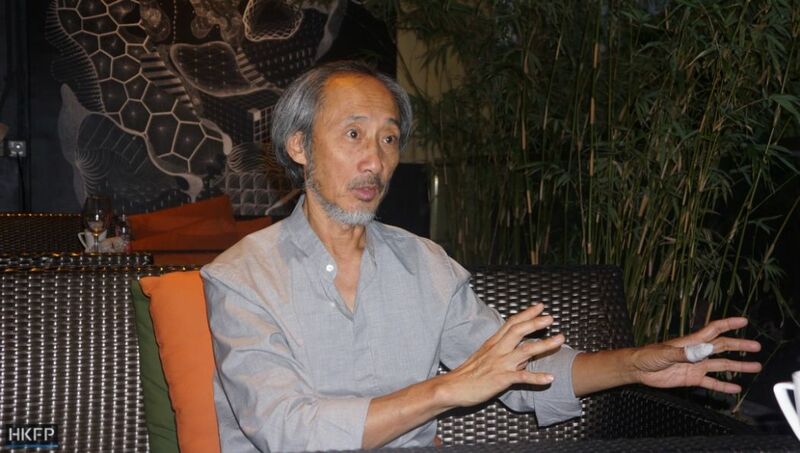 Born in Qingdao, Shandong in 1953, he went to Beijing in 1979 to work as a photojournalist. He got into painting and later switched to writing, and as his reputation grew, he came to Hong Kong in 1986 where he would stay for more than a decade. 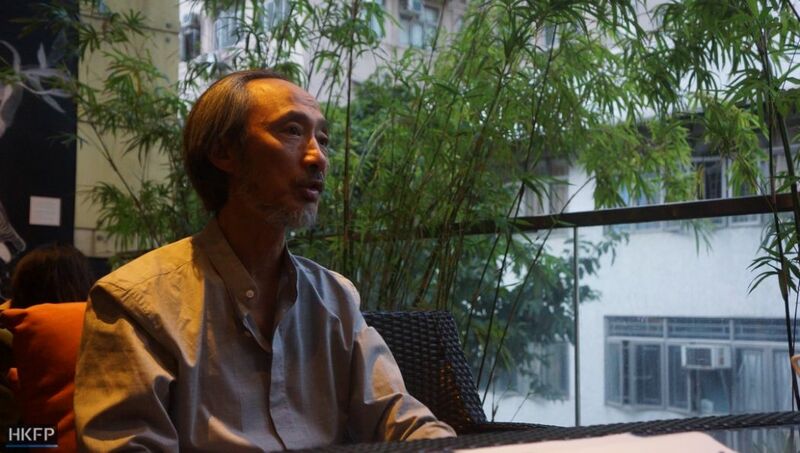 Since 2011, Ma has been denied entry to China, in part because of novels he wrote while living in Hong Kong. Tai Kwun. Photo: Holmes Chan/HKFP. His debut, Stick Out Your Tongue (1987), starkly depicts Tibetan culture and society, and his best-known novel Beijing Coma (2008) draws on firsthand experience in the 1989 student movement to address the Tiananmen Square massacre. These works have cemented his reputation as a no-holds-barred critic of the Chinese communist regime and placed him firmly on its censorship blacklist. Ma might be best known for his writing on mainland China, but his history with Hong Kong politics runs deep. HKFP found archival material that show Ma as an emerging voice who was deeply anxious about Hong Kong’s post-1997 future. “When I first arrived in Hong Kong, I lived in Green Text Bookstore in Wanchai. I would read and sleep there… All the Taiwanese books and books banned in the mainland, I read there,” Ma said. Green Text Bookstore was one of Hong Kong’s most popular independent bookstores of its day, until its proprietor Law Chi-wah – who Ma affectionately calls “small Law” – was killed by falling book crates in 2008. Then in his 30s, Ma saw himself as part of a generation of rebels who recognised the danger of the 1997 Handover that media and cultural elites ignored. Ma Jian (left) in Hong Kong circa 1995. Photo: Forward ’95. One of Ma’s friends at the time, artist Pun Sing-lui, was responsible for what was arguably the most famous political stunt in Hong Kong history: smashing the nose of the Queen Victoria statue in Victoria Park and dousing it in red paint. It was a controversial move: Pun’s political message was ambiguous, and some critics thought he sympathised with the Communist Party because of the red paint and his anti-colonial sentiments. In 1996, a local newspaper records Ma as a rare defender of Pun at a public forum. “I wouldn’t have been his friend if he were a supporter of the Communist Party – not in this day and age,” Ma was quoted as saying. The way Ma understood it, the mission of the artistic community – especially young, disaffected artists – was to shock the public into awareness and action. 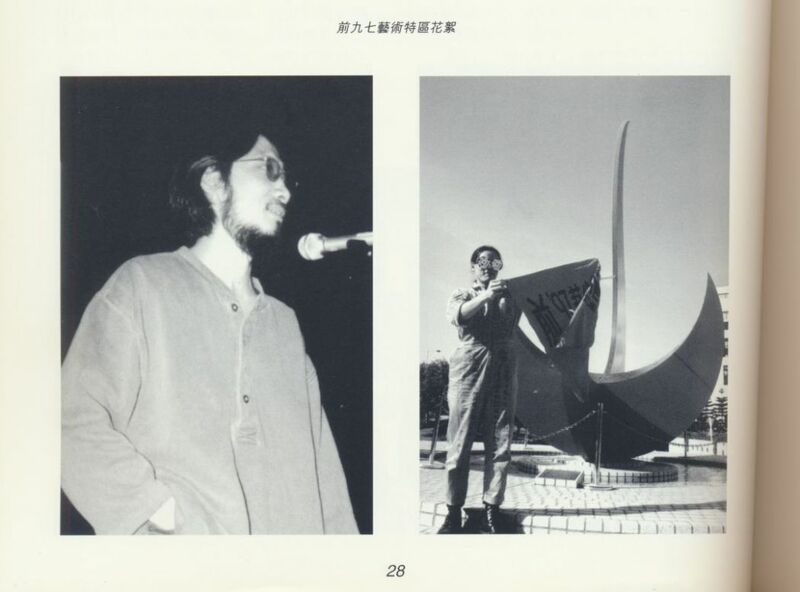 While artists like Pun enjoyed the spotlight, Ma assumed the supporting role of organiser and advocate. In a prescient 1995 article, he predicted that the Handover’s most significant impact would be cultural. 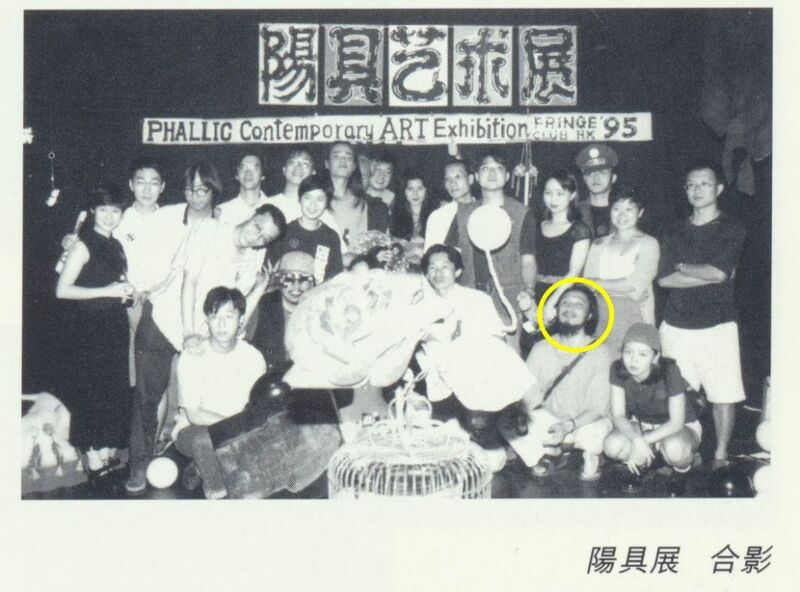 Ma Jian at the 1995 Phallic Contemporary Art Exhibition, held at the Fringe Club. Photo: Forward ’95. Ma was highly critical of what he believed to be Hong Kong’s cultural vacuity, though he appreciated how far his fellow artists had come. “Hong Kong artists are finally confronting reality. Between the gaps of power, artists have begun to pay attention to their own power and subvert taboos of thought, facing up to the vanguard role that artists must play,” he wrote in 1995. Ma said that, in retrospect, Hong Kong’s public responded to the artists with a collective shrug. He and his friends did all they could, but most of the local population had accepted Hong Kong’s return to China as a fact of life. 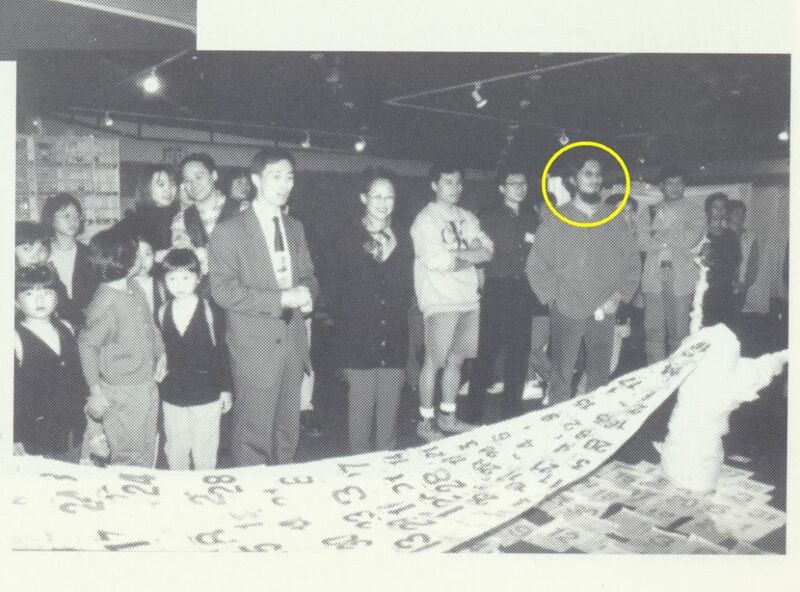 Ma Jian at the 1995 exhibition titled ‘The Pre ’97 Arts Zone’. Photo: Forward ’95. When the fateful day arrived, Ma wanted to go out with a bang: “The most memorable thing was how more than 3,000 people surrounded the Legislative Council building [on the eve of the Handover]. It was raining heavily, and we were crying and drinking,” he recalled. Shortly after the Handover, Ma left Hong Kong. He moved to Germany and then London in 1999, where he now lives in exile. Twenty years on, Ma returns to a very different city. His wife and children begged him not to come to Hong Kong; he came nonetheless, but left his computer in the UK to avoid the possibility of it being seized, he said. “I had put my odds of passing through immigration at 50-50,” Ma said with a chuckle. Many viewed the Tai Kwun flip-flop as a sign of self-censorship and eroding freedoms, but Ma pointed to a more specific cause. 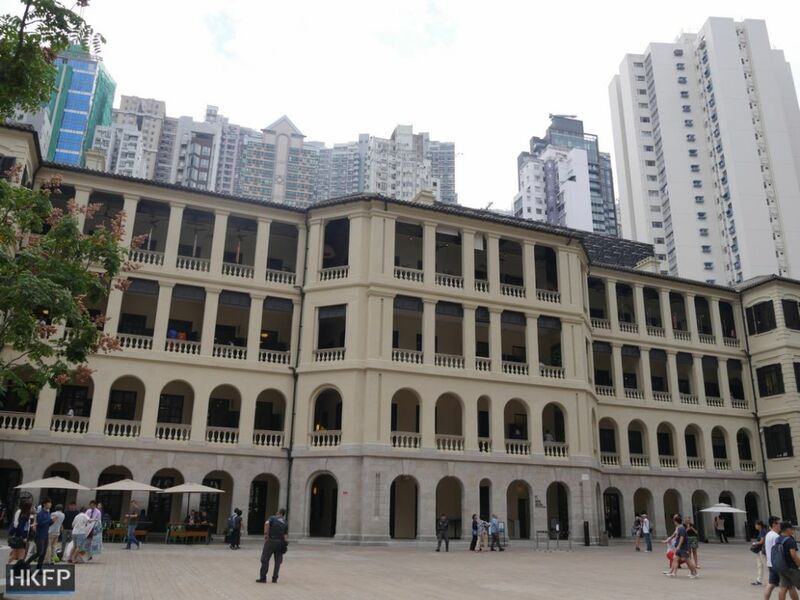 After all, he was a writer-in-residence at the Hong Kong Baptist University in May this year, and the experience was uneventful. 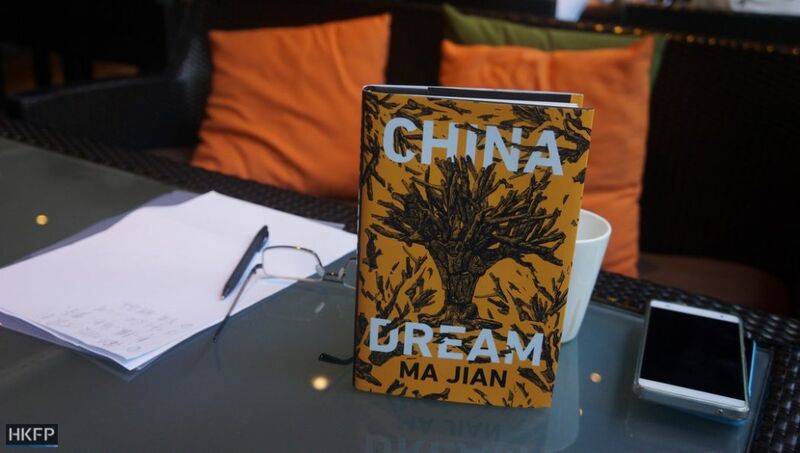 Ma Jian’s novel China Dream. Photo: Kris Cheng/HKFP. Ma believes that his latest novel, China Dream, is the main reason behind this recent turn of events in Hong Kong. The satirical novel published in November follows the character Ma Daode, a middle-aged bureaucrat who leads the China Dream Bureau whose memories of the Cultural Revolution resurface and blend into experiences of modern-day China. The plot involves the protagonist trying to design a microchip that will implant Xi Jinping’s “China Dream” into people’s heads. Also featured are Red-Guard-themed brothels, a forced eviction, and gory depictions of violence during the Cultural Revolution. “I wrote China Dream out of rage against the false utopias that have enslaved and infantilised China since 1949, and to reclaim the most brutal period of its recent history – the ‘violent struggle’ phase of the Cultural Revolution – from a regime that continues to repress it,” he wrote. Ma himself was a teenager during the Cultural Revolution, and saw one of his teachers branded as a rightist and persecuted by Maoist Red Guards. That sense of terror can be felt in China Dream, where the protagonist recalls his youthful self betraying his parents and getting his fellow Red Guards to ransack his family home. The protagonist’s parents did not die well. “[The father] killed himself because he could not bear the cruelty of the Cultural Revolution, and he couldn’t see a future in his son… In real life, there were so many like him, I can’t count,” Ma said. China scholars have pointed to similarities between the Cultural Revolution and the Xi era. For Ma, this was not a media soundbite but a serious observation into China’s social dynamics. “The people who were Red Guards at the time are now at the age where they are top officials. Xi Jinping is a Red Guard too,” Ma said. While there is no known record of Xi being a Red Guard per se, Ma believes that Xi’s governance strategy – building a personality cult and purging political enemies – share similar ideological roots. “There is a very direct connection between current officials and the Red Guard. The violence perpetrated during the Cultural Revolution has not been resolved, the history was suppressed, which is why the violence recurs in Chinese society today,” Ma added. 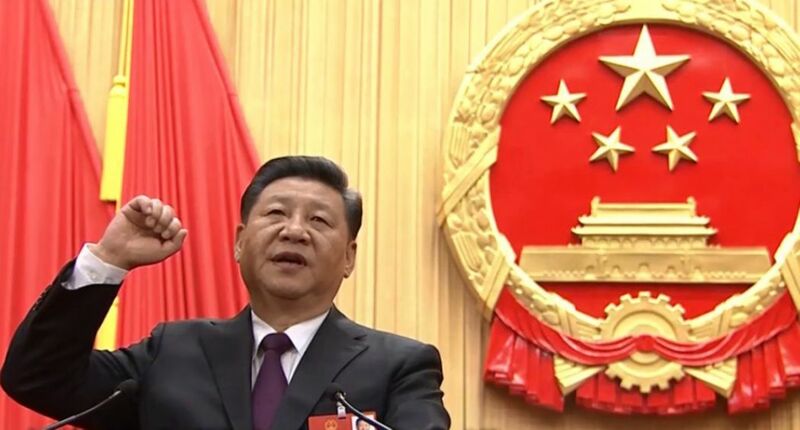 Chinese President Xi Jinping taking oath on March 17, 2018. Photo: Screenshot. It is this spectre of repressed violence that haunts China Dream’s Ma Daode. The novel’s narration is often interrupted by fragments of memory, each more grotesque than the last, until the protagonist unravels. “A nightmare lives in Ma Daode’s body, so when he wants to install the China Dream, all other dreams burst out and he broke down,” Ma said. Ma referred to George Orwell’s dystopian classic Nineteen Eighty-Four, noting the resemblance between the oppressive world in Orwell’s novel and contemporary China. That comparison had been made before, but Ma wanted to add a uniquely Chinese twist. “I think what Orwell described in Nineteen Eighty-Four might be the ultimate ending, where everyone’s inner candle is extinguished, and people would just love Big Brother. But for me, I needed to find something fitting for China today,” Ma said. Aside from sporadic cases of awakening, Ma said there is no one within China that could offer the possibility of resistance – not even its literati. “[The literati] completely failed. In the 1970s and 80s, at least we could see books by exiled authors being sent into the country by an underground network. But this culture doesn’t exist anymore. 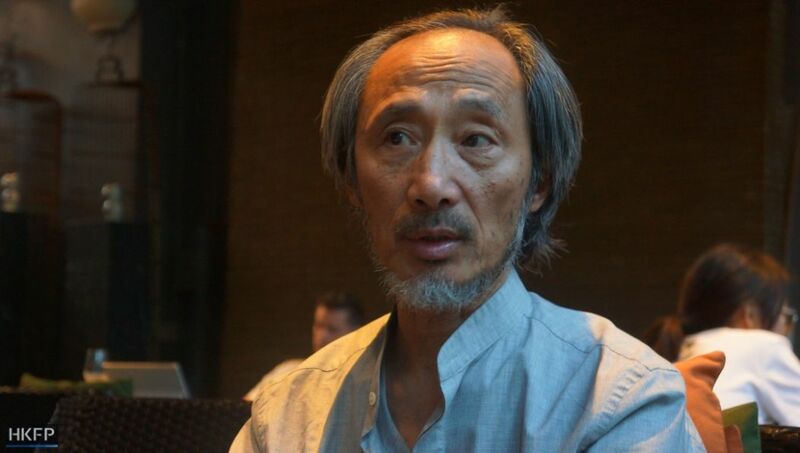 Chinese authors would volunteer to report someone like me,” he said. 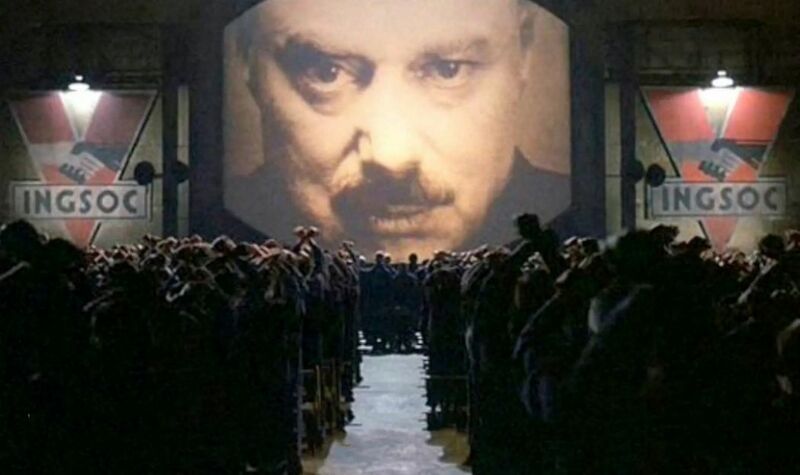 A scene from the film adaptation of Orwell’s Nineteen Eighty-Four. What results is a cultural community that is as insular as it is virulent, Ma said. Both in his novels and in real life, Ma’s politics often evokes the theme of generational strife – children failing their parents, parents failing their children. Speaking in 2018, Ma was clearly still indignant about how the political artists of the 1990s were sidelined. Or perhaps it had something to do with him becoming a father: Ma met his wife in Hong Kong in the last days before the Handover and now has four children. 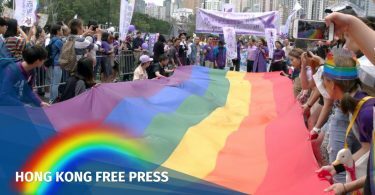 “The year of the Handover I wrote an article for a French newspaper, describing Hong Kong as a pregnant woman who was forced to get a new husband. The question is, what happens to the child?” he said. He explained to HKFP that his comment was about asking older Hongkongers to take responsibility. “Go ask your father and mother, what was Hong Kong like back then? What kind of world did you expect to leave to us?” he added. As for the city’s future, Ma said it was inevitable that totalitarianism will spill over to its neighbours. He quickly dismissed the possibility of independence – an idea he attributed to “excessive anger” – and said the best way forward was still with the pro-democracy movement. “No matter if it’s the Umbrella Movement or other protests, their target is the same as ours [back then] – the Basic Law,” he said.